Good day our wondrous peeps! Thank you for waiting patiently at our small absence. We are now back again in the swing of things and wanted to bring something new to the table. Yes. Delicately put. But in this case, Lewis is right. For quite some time we wanted to create a post revolving around one of our most favourite franchises, The Lord of the Rings. Lewis, does plan on making it one of his Interesting Tid-bits posts but since the trivia is some-what encyclopaedic on just one of the films, he’s still listing the interesting ones to show. It’s difficult! It’s like having the choice of picking out apple pie, cookies and cream ice cream, Angel Delight, and Reese’s Pieces for your dessert. YOU JUST WANT THEM ALL! And since we don’t need to run a post on Films We Love on it (because what with all the awards it’s won, why would we need to prove to you to watch it) we figure we compromise on a different solution all together. Yep! There are Supernatural (TV Show) drinking games, FIFA, freaking Pokemon, and the Saturday Football Turn-out drinking game on Sky Sports. We seriously do not recommend the latter without reading up about it or watching a few YouTube vids, you’ll thank us later. But this time, we figure we get a little rowdy and create our own rules for one of the greatest cinematics pieces to come from the fantasy genre, The Lord of the Rings: The Fellowship of the Ring. Both Lewis and I played this and, although it was really good fun, prepare to get sloshed. Best played with a group of friends. EVERYONE drinks, some games feature some people play certain characters. But not in this one. If a rule gets played, everyone must drink. The rules are set up for the extended edition of the first Lord of the Rings film, but they work just as well for the theatrical version. 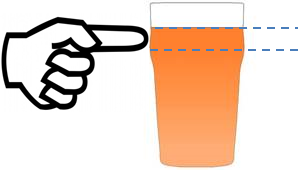 The measures are drawn by “fingers”, so if a rule’s measure is 1 (one) finger, you are to drink one finger’s breadth worth of your beverage. If it’s two fingers then you drink two, and so on. Drinking is normally done in British pint glasses (568 ml). For the Americans, that’s about 20 fluid ounces. Any time someone mentions the One Ring. Aragorn cries his battle cry. Any time wizards use their magic. Fool of a Took! Drink when Pippin makes a fool of himself. Gandalf hits his head in Bilbo’s house. When convenient eagle is convenient. Aragorn hits the camera. Fail! Merry and Pippin talk about food. When Gollum says, my precious! One simply drinks to the greatest meme of all time. Gandalf dies! Drink to forget the pain! Let us remind our peeps that this game is all about having fun. The measures are a suggestion. You don’t have to do “fingers”, you can do sips if you want. Or you can add different measures if you’d like. If you have any suggestions on what film we should create a game for next, leave us a comment! It’ll help us out a lot. Loves, the Almighty Popcorn team. 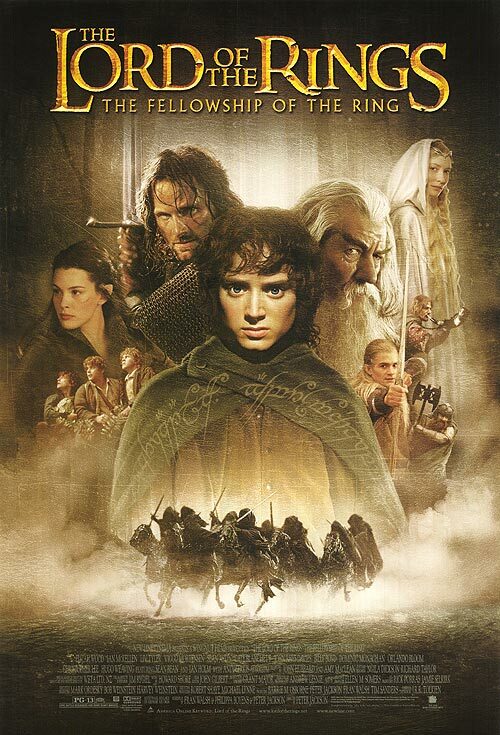 This entry was posted in Adventure, Drinking Game, Fantasy and tagged Aragorn, boromir, drinking, fantasy, Frodo, game, Gandalf, gimli, Legolas, Lord of The Rings, merry, pippin, Samwise, The fellowship of the ring, Tolkien, wizard. Bookmark the permalink.